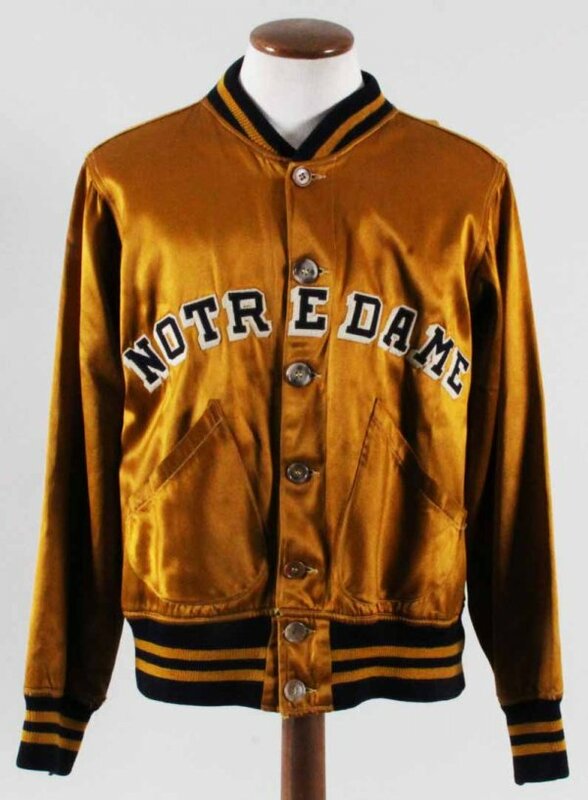 Presented is a vintage Notre Dame basketball warm-up jacket from the 1940’s-50’s. It is an old satin full sleeve jacket with stretch knit verso, ribbed knit collar, sleeves and waistband. Displays intact with seven button front with dual side pockets. Long sleeves were standard on basketball warm-up jackets for pros and colleges in the 1940’s-50’s. The interior tail label “W.O.W.O. (Fort Wayne, Indiana) was a big time distributor of Notre Dame athletic uniforms during the 1940’s and 1950’s. A period size label (42) and length designation (L) are sewn in adjacent to the main label. 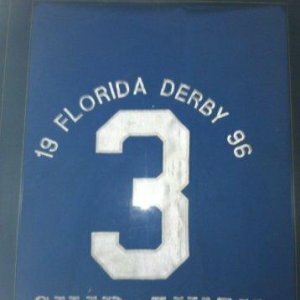 The interior back tail has a gold felt swatch with player #36 chain link stitched in navy (player # identifier). Arched on front is 2″ navy on white felt drop shadow lettering “NOTRE DAME”. Impeccable condition and a great period rendition of Notre Dame’s long standing, rich, sporting tradition.